If you are not Middle Eastern, you might be wondering “what the heck is a kofta?” Is it meat, is it vegetable, or is it some mysterious Middle Eastern ingredient? Actually, it’s none of those! “Kofta” is a word used throughout the Middle East, meaning ground meat. Today, there are many kabob variations, including fruit kabobs, veggie kabobs, and even dessert kabobs. However, there was a time when “kabobs,” which originated in the Middle East, referred to “skewered meat.” “Kofta kabob,” specifically, refers to kabobs made with ground meat. 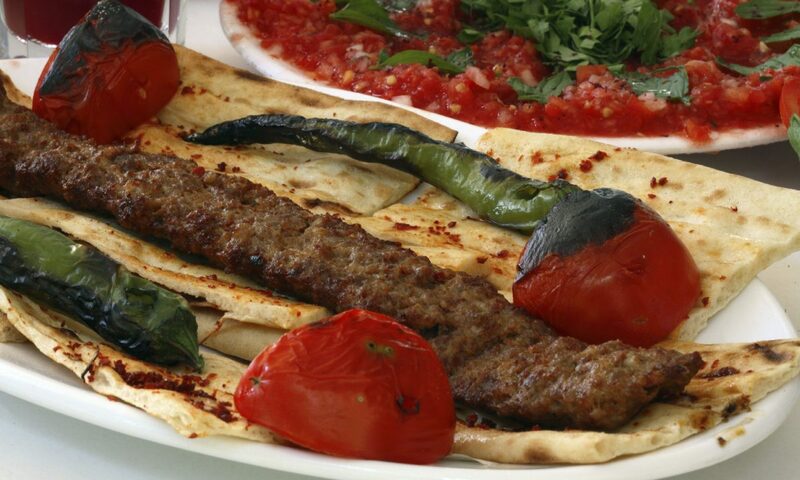 Kofta kebab is usually made using beef, lamb, or a combination of the two. Not a meat fan? That’s ok, there’s also chicken and seafood kabobs. I would also like to point out the difference between kofta kabobs and Shish Kabobs. The latter refers to marinated and skewered chunks of meat, instead of a ground meat mixture. Luckily, sumac is the only elusive ingredient in this recipe. But, you can follow the Amazon link above, or purchase it at a Middle Eastern market. If you like to cook, you probably already have a food processor. 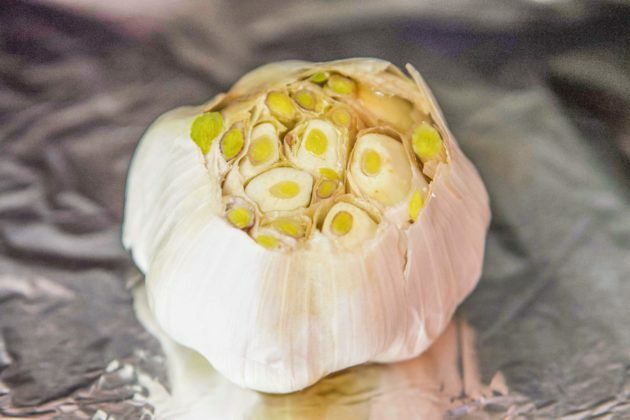 It will come in handy for grinding the onion and the herbs into a fine pulp. I also recommend purchasing some flat skewers. Although I’ve seen people use wooden skewers, it’s not the authentic way of making kofta kabob. The meat mixture is traditionally formed onto the flat skewers, giving the kabobs their distinct shape. Kofta kabobs are served with vermicelli rice, pita bread, and grilled vegetables. Additionally, tahini sauce, pickled vegetables, and sumac are sometimes served on the side. This recipe will yield eight 12″ kabobs or sixteen 6″ kabobs. Finally, be sure to stop by after you try this recipe to leave me a recipe review. I love hearing from YOU! 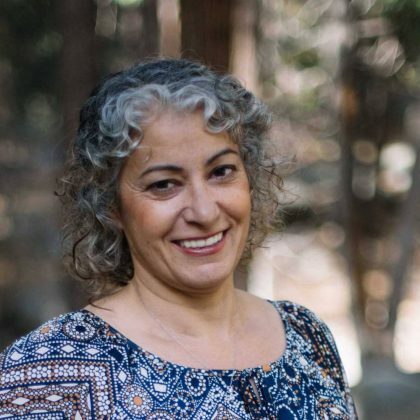 If you love lamb, like I do, check out the following recipes: lamb cracklins, Okra Stew, Shawarma, and Lamb Shishkabobs. Don’t forget to check out my Classic Middle Eastern Food Combinations. Do you Pinterest? Please help a girl out by pinning and sharing! Tender and juicy kofta kebab using lamb, beef, or a mixture of both. Place the chopped onion, parsley, and mint in a food processor. Pulse the food processor until the onion is liquified. Pour the onion mixture into a large bowl, along with the remaining ingredients. Mix by hand until thoroughly combined. Cover the bowl with plastic wrap and refrigerate for 4-6 hours, or overnight. Divide the meat into 8 or 16 equal portions, depending on which size kabobs you're making. Take one portion of the meat mixture and roll into a meatball. Push a flat skewer through the meat. Using the same hand that's holding the meatball, begin forming the meatball onto the skewer. If the meat is too sticky, wetting your hand will help. Flatten the meat onto the skewer until you have formed a 6" kabob. If you want to make 12" kabobs, use twice as much meat. Heat and oil the grill. 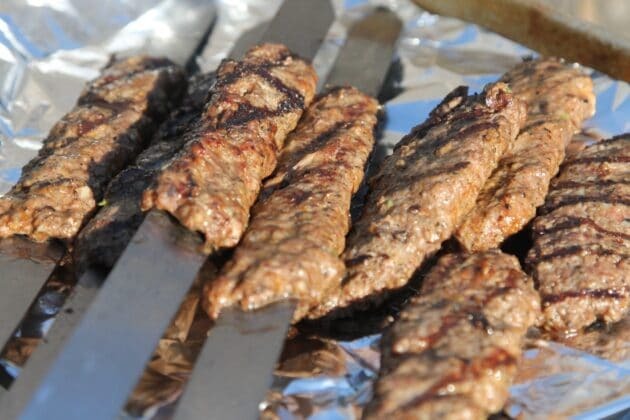 Place skewers at an angle to give the kabobs the grill marks. After a few minutes turn the skewers over. If they get stuck, use a spatula to carefully free them from the grill. Cook five minutes or less per side. If you don't have skewers, just shape the meat into long, flat patties and grill the same way mentioned above. Once both sides are browned, remove from the grill. Thanks for the comment, Kristin! I guess the fact that you haven’t tried kofta kebabs is one of the reasons why I love to blog. I love introducing new foods to others. Hope you give the recipe a try and let me know what think. It can easily be made with only beef. The key is to keep it pretty fatty; dry kebabs are not very tasty. Since you’re on Keto that shouldn’t be a problem, right? Enjoy! I have never heard of these before but they sound really neat! Might have to give them a try! Is this pronounced like Kurfda? I lived in Turkey for a little while when I was younger and we used to eat kurfda all the time. I’ve tried to find a recipe for years. I am going to try it but it’s been so many years I probably don’t even remember what it really tastes like, lol! It’s a favorite memory of mine and that’s saying a lot as these days I don’t remember a whole lot!